The Sydney Roosters have been crowned the 2018 NRL premiers after beating the Melbourne Storm by 13 points at ANZ Stadium in the decider on Sunday evening. Here are my talking points from the game. 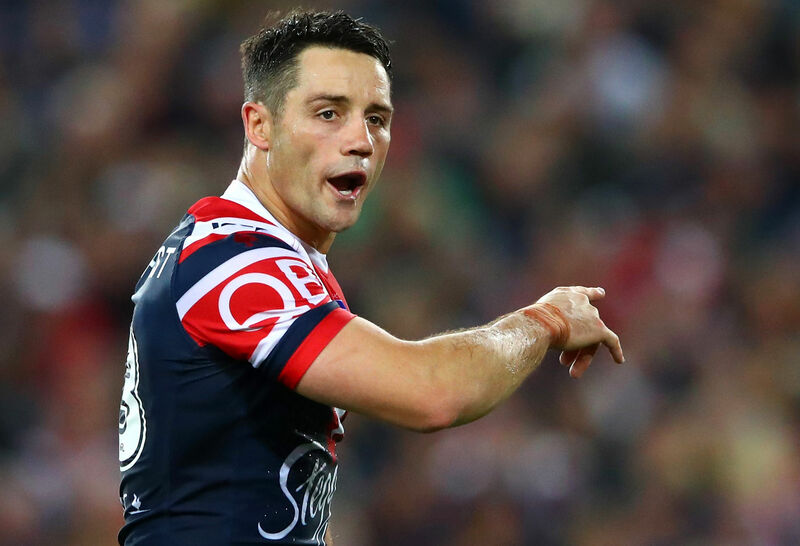 There is no way in the world Cooper Cronk was at 100 per cent fitness, but with the way the Roosters forwards dominated the contest, he simply didn’t need to be. The biggest factor in Cronk’s game was always going to be his talk, his game management and the way he is able to control a team around the field, rather than any of the individual skills he possesses. Cronk didn’t run the ball, he barely kicked the ball and essentially did nothing more than he needed to do for the entirety of the contest, but it didn’t matter. His coaching of the team, the way he conducted himself and then, in the second half, the way he was happy to put his body on the line to stop Nelson Asofa-Solomona, it was incredible to see and speaks volumes of the man. In the post-match on-ground interview, captain Boyd Cordner said Cronk was only at 30 per cent and was playing with a broken scapula, which makes the effort he put in even more amazing. It could well be his last game – whether he will come back from a shoulder reconstruction – should that’s what it take – is anyone’s guess, but he will always be remembered for the performance he put on in the 2018 decider. 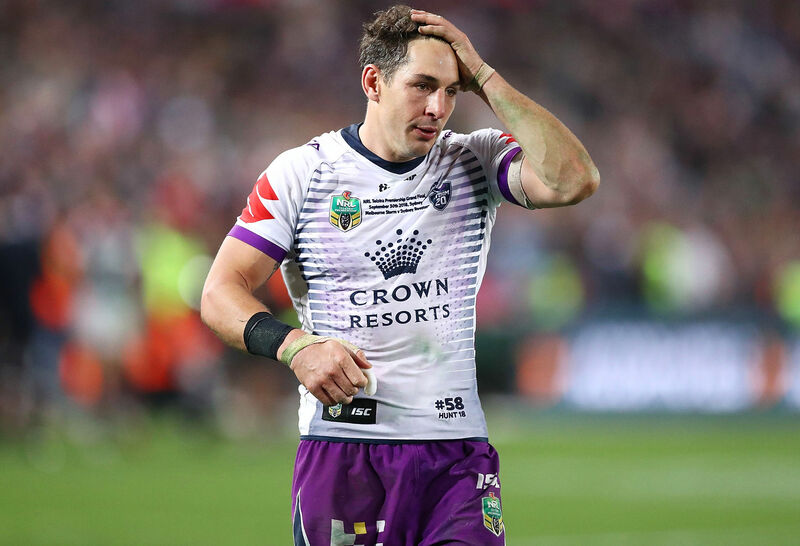 Whether it was the shenanigans during the week with whether Cronk was going to play or not, whether it was the suspension and eventual let-off for Slater, or whether it was just complete and utter burnout at the end of the season, the Storm never turned up. Don’t get me wrong, the Roosters were absolutely sensational for the entire 80 minutes both in attack and defence, but Melbourne never got into gear. Melbourne looked likey they might as well have been in the sheds for all the good their forwards did in the first half an hour, and realistically, with the Roosters going into the halftime break 18-0 up, the game was all but over. The Storm put in patches where they were marginally better, but it’s the worst game they have played in a decade. Ten years to the day in fact, when they lost to the Manly Sea Eagles 40-0 in the 2008 grand final. It’s hard to remember a time the Craig Bellamy-coached team got rolled over up the middle like they did tonight. It created no time for their spine, no opportunities for their outside backs and ended up showing on the scoreboard in a big way by the time the final siren rolled around. Could this be the end of Melbourne’s window? Billy Slater is done, Cameron Smith is another year older, Cameron Munster and Brodie Croft failed to lift under the pump. Is this the end of the Storm’s premiership window? This is a club who are always going to be successful. Whether you like it or not, the Storm are a club who, under Craig Bellamy, are just going to hang around at the top of the ladder like a bad smell. I’ve long been of the view they couldn’t do it without Billy Slater, who is the best fullback in the game. The 2016 grand final proved that, as did the difference in their level of play last year. He was on the park tonight, but couldn’t get involved in the game. Without Slater though, they will struggle to maintain consistency and crack the top four. It’s arguable to say without doing that, the Storm would have struggled to get back up and make the grand final as it was. Let’s not let this performance take anything away from the Storm though – they have had an outstanding season again, although nowhere near as dominant as the 2017 version. I don’t want to write off the men from down south, but it’s going to be an uphill battle for them to make a fourth decider in-a-row come 2019. There was one moment in the first half where it looked like Mitchell was going to lose his head and let the inevitable brain snap get to him, but apart from pushing Will Chambers into a sign on the side of the ground, he didn’t put a foot wrong. The young centre has been excellent all season, earnt his New South Wales Blues Origin call-up and made the big game experience work for him in the decider. While his stats aren’t going to make for amazing reading, he popped up every time he needed to, burnt Will Chambers with a try in the first half and didn’t make a mistake in defence. This performance, being able to stand up like that during the biggest game of the year, puts him in a class above. Sure, he is still going to be challenged for the mantle of best centre in the game. Greg Inglis will have a thing or two to say about it after an outstanding season of his own, but with a long career ahead of him, Mitchell will fast-track his way to becoming one of the best and most valuable players in the game. Every player is under the pump coming into a grand final, but if there was one player facing the blowtorch more than the rest in the decider, it was Keary. The half had to stand up and show he could be the lead half, to execute plays and take over at the top of the game. With Cronk playing on one arm and only kicking the ball once all game long, Keary did absolutely everything perfectly, except his one pass leading to an 80-metre intercept try for Josh Addo-Carr. Keary was named the Clive Churchill Medalist, and he deserved it 100 per cent without a shadow of a doubt. 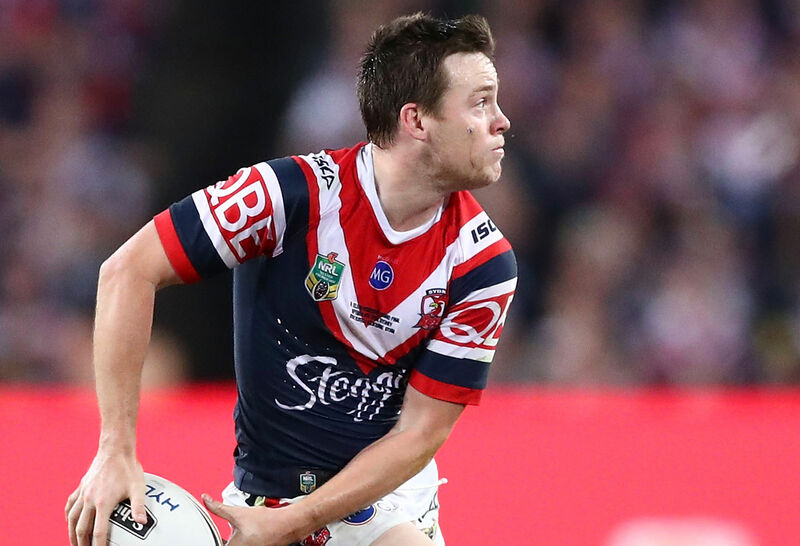 Of course, he also stepped up to kick the field goal which put the game beyond doubt, but his performance ensured the Roosters would carry out the pre-season expectation when they signed Cronk and James Tedesco – that they would win the premiership. This is a standout performance in the career of Keary. One which removes him from the crowd of play makers and shows he can make the next step and become a leader. Cameron Munster had a really, really bad night. This was supposed to be a game where he was able to stand up and help Smith and Slater direct traffic around the park from the start to the end. Instead, like most of his teammates, he had a shocker. He never got involved with running the ball, made mistakes and ended up in the sin bin on two separate occasions. The first was a professional foul which has happened more times across every club in the game than anyone could care to remember this season, but the second was plain silly. A kick to the back of the head is not only a bad look for his temprement, but might see him sitting on the bench for the first few weeks next season. Munster can’t yet be placed in the ‘can’t play big games category,’ because he has been very good in Origin and during last year’s decider, but with the heat turned up during the decider, he went missing in a big way. All season, the tri-colours strength has been their defence. From the start to the end, they have made it ridiculously hard for teams to score against them, and no moment could sum up their season more than Cooper Cronk taking down Nelson Asofa-Solomona despite essentially playing with one arm. They were never going to let the Storm come back once they got the big lead during the first half. The Roosters were quick off their line, putting pressure on the Storm all game. In my preview, I wrote they had to be. They had to take time away from the halves and opportunities away from the outside backs and that’s exactly what they did, leaving the Storm with nowhere to go and no options to take. It was a superb performance. They came out with a ruthless attitude and didn’t put a foot wrong in executing it. Roarers, what did you make of the 2018 NRL Grand Final? Drop a comment below and let us know.